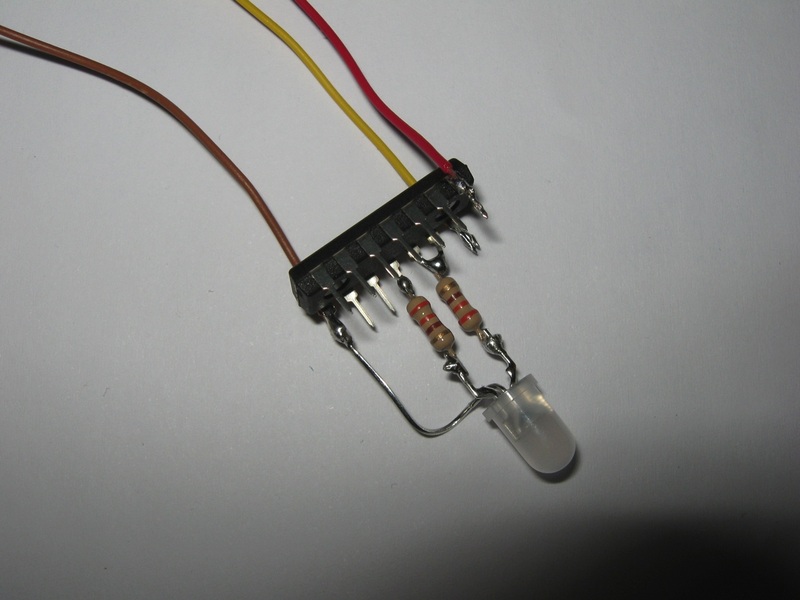 The bicolor LED I bought at Radio Shack (part: 276-0012) only had two leads, not three. 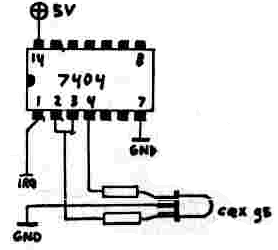 To make this work with the schematic, simply skip the connection from GND to the middle lead of the LED, as it doesn’t exist. 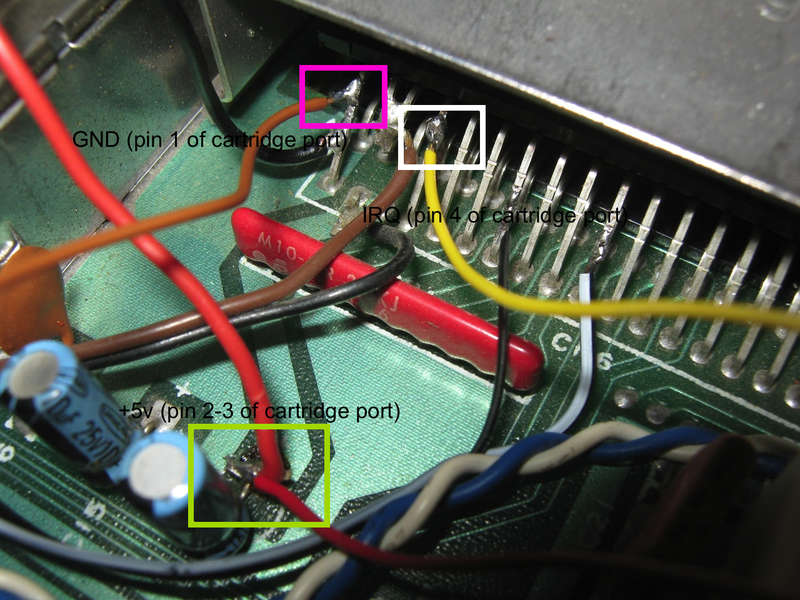 1) Adding a 330Ohm resistor in between the IRQ line and pin 1 of the 7404 and then add an externally mounted SPST switch wired to short pin 1 of the 7404 to GND when closed. 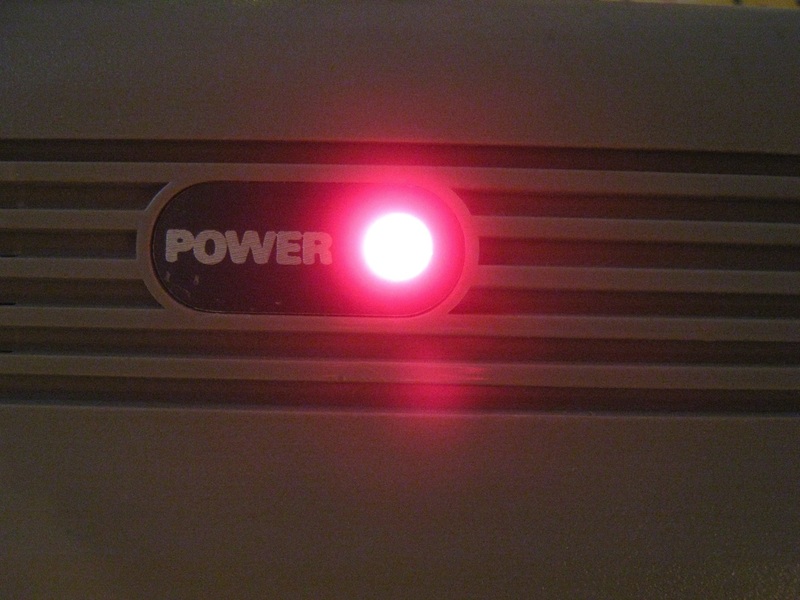 Shorting to ground overrides the IRQ signal, leaving the LED red. 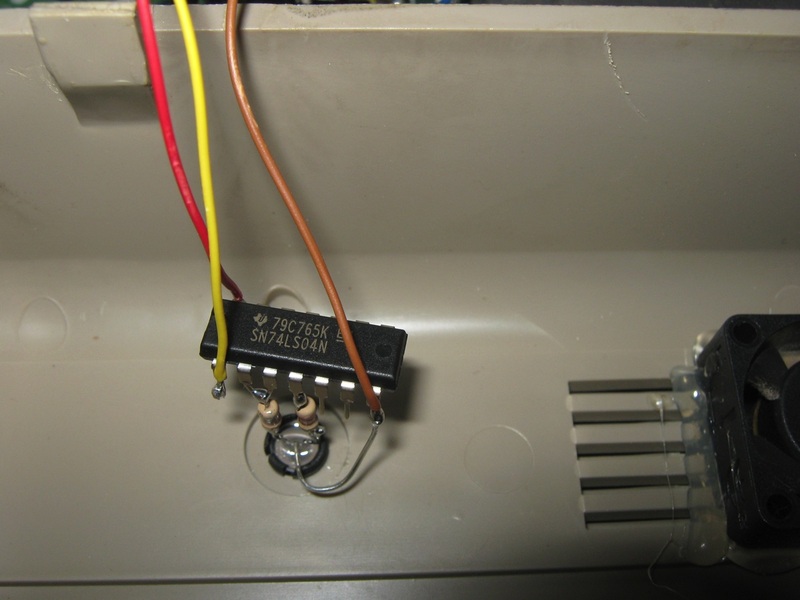 2) Adding an externally mounted SPDT switch, connecting the middle pin of the switch to pin 1 of the 7404 then one of the other switch pins to the IRQ line and the last switch pin to GND. 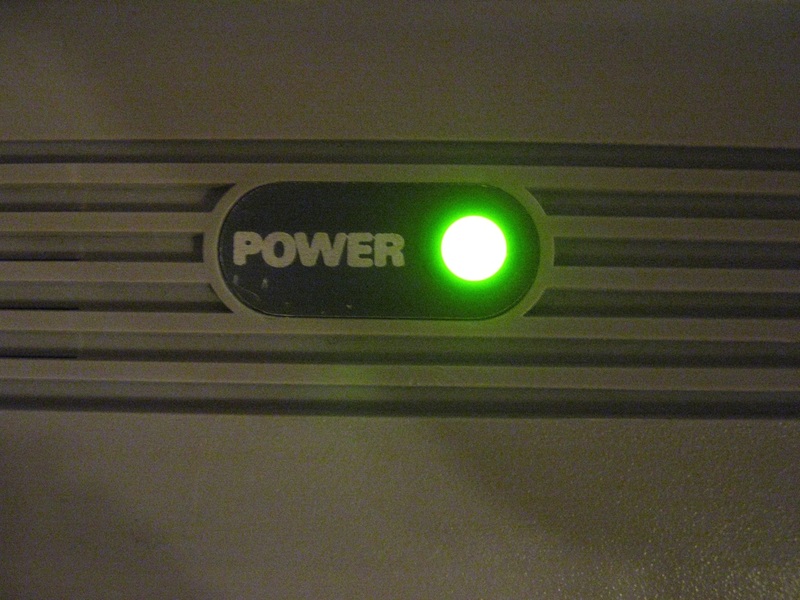 The switch now chooses what is connected to pin 1; IRQ or GND. Hi Tim, you have made a nice work!.